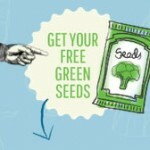 Free packet of green seeds from Love Your Greens. We imagine the green seeds are so you can grow green vegetables such as broccoli, cauliflower, cabbage etc. 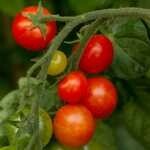 A great freebie for all you green fingered gardeners. 5,000 free packs of either parsley or red onion seeds so you can grow your own at home. Handmade Burger Co are giving away the free seeds.